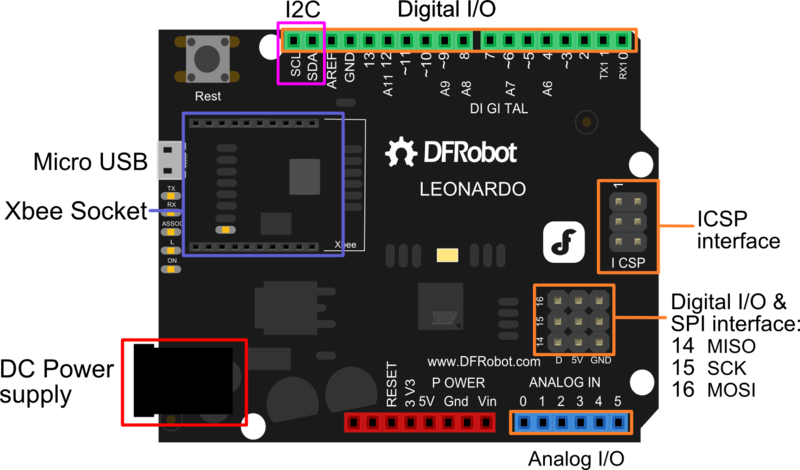 DFRobot Leonardo with Xbee socket is an Arduino Leonardo variant processor.The Arduino Leonardo is based on the ATmega32u4 chip. It is the latest addition to the Arduino family. Compared with the earlier Arduino controllers,by using the ATmega32U4 as its sole microcontroller, allows the Leonardo to be cheaper and simpler to use.Also, because the 32U4 is handling the USB directly, code libraries are available which allow the board to emulate a computer keyboard, mouse, and more using the USB-HID protocol! NOTE: This board is only supported in the latest Arduino IDE 1.0.1 or later version so you will also need to update the IDE. DFRobot Leonardo with Xbee R3 has a Xbee socket.It uses Serial1 to communicate with Leonardo. // Input  "p" once time the led will be turn on;twice to turn off. // It is controled by Serial1 Xbee side only. but you can check the status from serial port. Serial.println("LED ON");  // you can check the status from serial port. 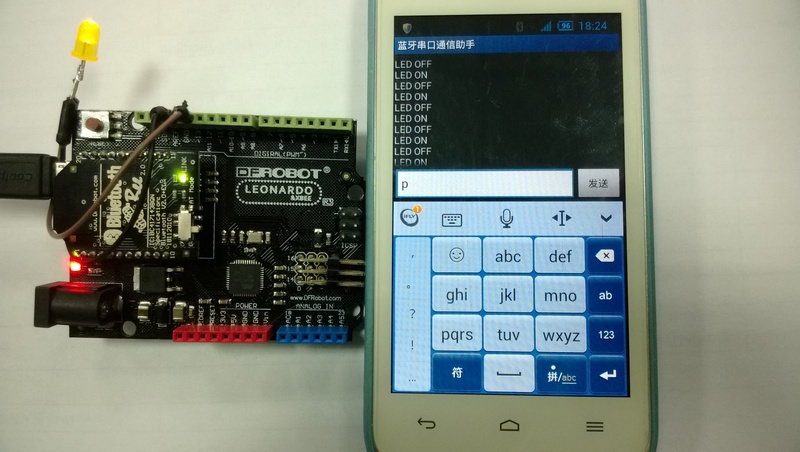 Serial1.println("LED ON"); //you can check the status from serial1 port(xbee). Serial.println("LED OFF");  //you can check the status from serial port. 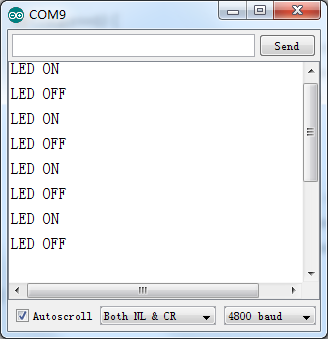 Serial1.println("LED OFF"); //you can check the status from serial1 port(xbee). 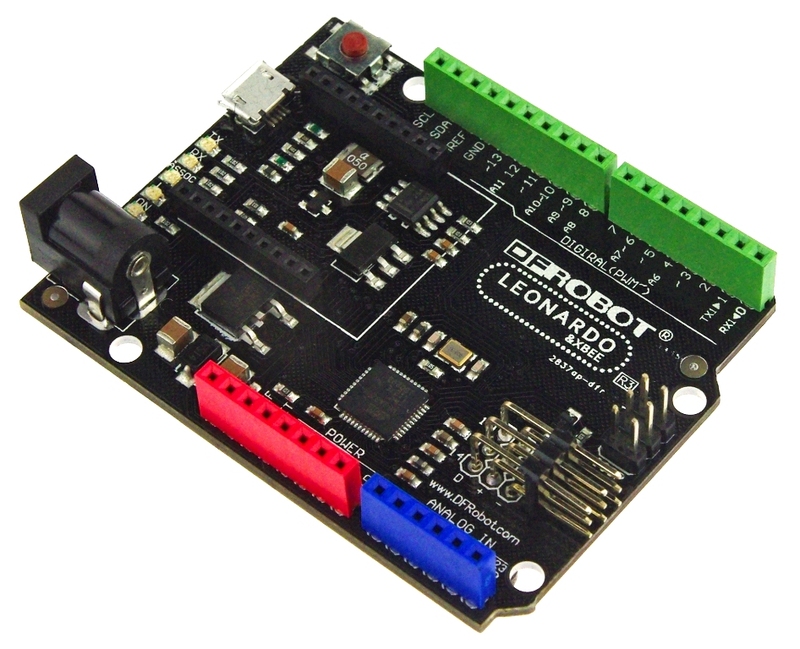 Get DFRobot Leonardo with Xbee R3(SKU:DFR0221) from DFRobot Store or DFRobot Distributor.